5) Blue sky, crystal clear waters, orange earth…? 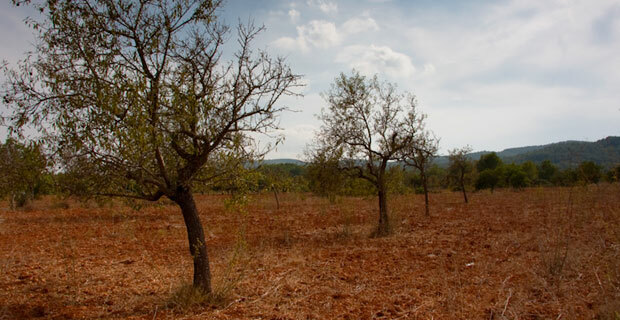 The ground on Ibiza is a rather unusual shade of orange. This is because of the rich abundance of pine trees that grow across the island. 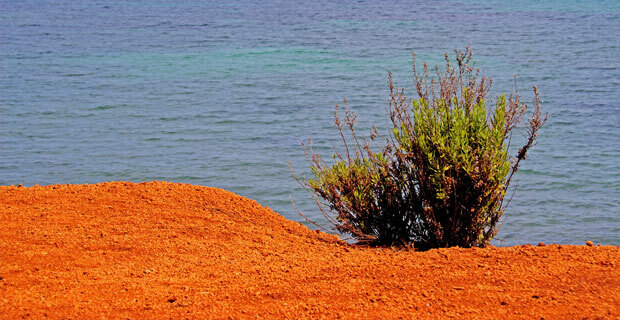 When the needles fall, the tannins within seep into the ground, dying it the distinctive orange colour. There is no fresh running water on Ibiza, at least not on the surface anyway. The island’s only river is practically dry, and the island’s fresh water supply is welled from deep underground. 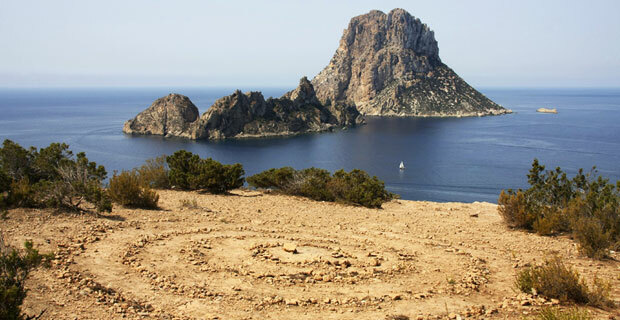 Ibiza isn’t really an island so much as an ancient mountain tops. 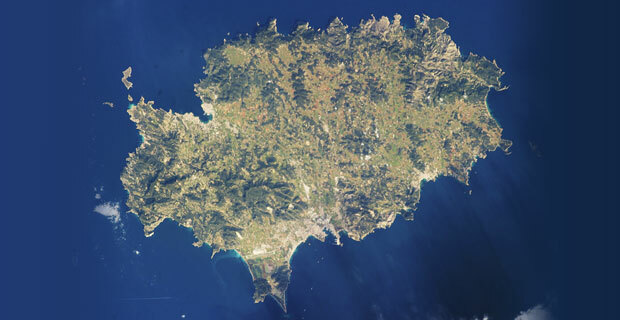 Millions of years ago, the Mediterranean basin was flooded by the Atlantic, creating the modern Mediterranean Sea, and leaving what are now the Balearic Islands poking out of the surface. 2) Twinned with the Bermuda triangle? 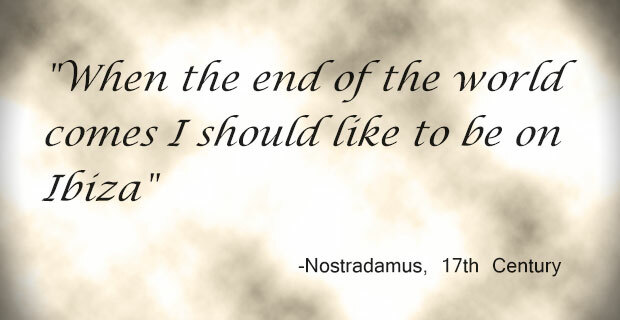 According to legend, Nostradamus predicted that due to the unique prevailing wind around the island, Ibiza may well be the only place to survive the impending nuclear holocaust. Interesting. I hope the bars are still open though. 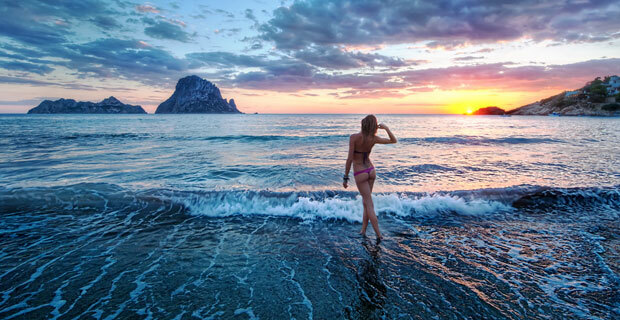 Ibiza certainly has a lot to offer visitors looking to head away from the clubs and bars of the main resort towns, with the best way to get around being with your own hire car. AurigaCrown rental partners operate at the airport and key locations across the island, so you can easily reach the most convenient office to collect your Ibiza car hire.